There are a lot of anniversaries in the Spring and Summer. Jewelry is an excellent gift to celebrate the occasion. Since there are so many Spring and Summer weddings, there are many anniversaries coming up at this time of year. Hopefully you will read this blog and it will put you in the mindset to buy that perfect piece of jewelry to create a beautiful 'jewelry moment'. I define a 'jewelry moment' as a time when someone receives something so special that it becomes embedded in their thoughts for years to come. I have experienced through long term relationships with many of my clients that jewelry can remind us of moments in time that are cherished memories forever. Many times it is fun to get creative with your gift selection by creating a custom project. This could include a right hand ring, pendant, earrings or bracelet. Custom projects can incorporate gorgeous gemstones or maybe even a family heirloom. Putting in the the thought and effort to create something special will definitely create a cherished moment. If you have unique ideas for a custom jewelry project, we can help you turn them into reality. Another idea for an anniversary gift is to stay with jewelry staples such as diamond stud earrings, a diamond pendant, or a diamond anniversary band. All of these items are things that can be worn on a daily basis whether going to a sporting function or a black tie affair. We carry these jewelry basics in stock, set and made in our Overland Park jewelry studio, to ensure the finest quality. Picking out a beautiful gemstone can also make a wonderful anniversary present. Whether it be a beautiful sapphire, ruby, emerald or amethyst we can find you the perfect stone and then create a gift to be cherished for years to come. 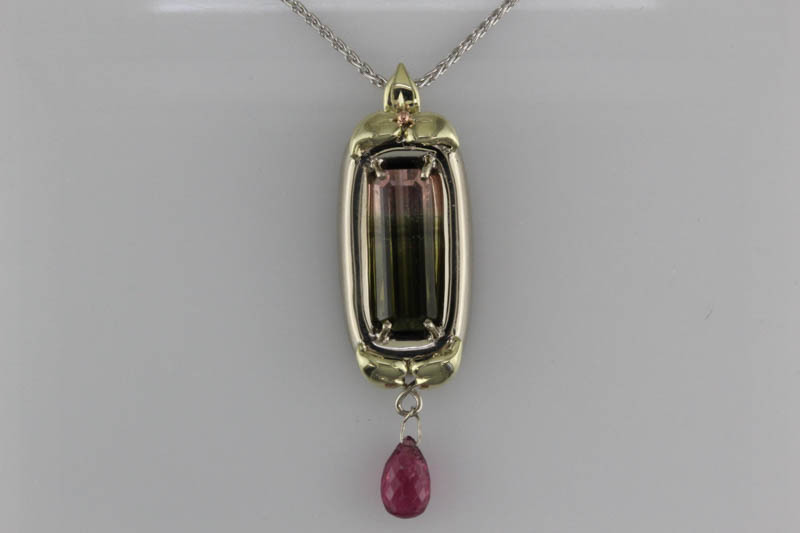 Once you pick out the first piece of colored gemstone jewelry you can add to the collection with other pieces of jewelry featuring matching gemstones. Another wonderful anniversary gift idea is a piece of vintage heirloom jewelry. Over the years we have accumulated a beautiful collection of antique jewelry. Whether is be a beautiful ring, pendant, bracelet, or pin we have a large collection to show you. The vintage jewelry we offer has been gone over thoroughly to make sure it is in wearable condition to be come part of your beautiful jewelry collection. If your anniversary is approaching, give it some thought in advance and become a hero to your loved one. Stop in to Richard Dolgin Private Jeweler to talk about the perfect gift for this wonderful occasion.